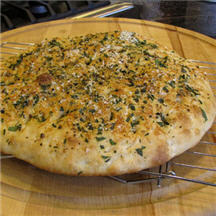 CooksRecipes has quality, kitchen-tested recipes for flatbreads, like foccacia, chapatis, corn and flour tortillas and pita bread, that you can count on for successful deliciousness. 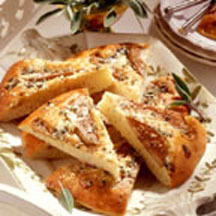 With focaccia bread you can be creative with the addition and combination of toppings...or simply top this Italian flatbread with Parmesan cheese. 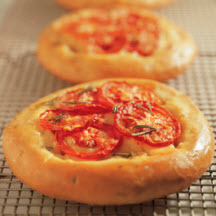 Individual-sized focaccia breads topped with slices of Roma tomatoes, fresh rosemary and kosher salt. This recipe will be a keeper, count on it!